What is the address of the cottages? Flint Cottage is 2 George Street, Sheringham. White Cottage is 4 George Street, Sheringham. Postcode for both is NR26 8ED. How far are the cottages from the shops/beach? The cottages are situated in the “ old town “ and are an easy few minutes walk from the main shopping street “ Station Road “ and the beach promenade, also the railway station is only 5 minutes walk away. How do I check availability and tariff? Select the page for the property you are interested in and select the availability calendar – these are updated regularly and enable you to see periods already booked, you can then select an available date – click on “enquire” which will generate an enquiry form for your details – simply fill in the required fields, click “submit “ and the form will be emailed to us to respond with the tariff for your chosen dates – or if you do not use email- just ring us – on 07966 398245. Our Standard Terms require a deposit payment of 50% of the tariff for the period at the time of booking. We may only require a 25% deposit for a short break, this will be advised at the time of booking. If you book within 6 weeks of the start date we will require payment in full at the time to secure your booking. If made before 31st October, “Early booking“ for a period in the following calendar year only requires a non refundable £100 deposit (£50 for previous guests ) to secure your dates, with 50% of the balance then due by 31st December of the booking year. Any booking on a special offer tariff must be paid in full at the time. We will be flexible and happy to discuss individual circumstances. Nothing – the tariff we quote you is fully inclusive of heating, electricity bed linen, and provision of bath and hand towels for your use. 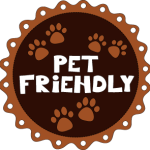 We do not charge booking fees, or for pets. Once we have confirmed the availability of your chosen dates with you, we just need your name, address and postcode (by email or phone) so that we may mail our booking “ terms and conditions“ to you for signature and return with the required deposit payment. Can I bring my dog/s ? Yes we are dog owners ourselves so we are happy to accept pets (there is no additional charge) – usually up to 3 or 4 depending on breed (up to Labrador size) is no problem – for larger breeds or more than this number please contact us to discuss your requirements. Important: Please see our “DOGS POLICY“ link which gives more information on our conditions of accepting pets. Yes all year however there is a restricted area where dogs are not allowed during the summer months- but just a short walk along the promenade will take you to long stretches of sand accessible at low tide. Sheringham is very ” dog friendly ” and many pubs and some cafes will allow well behaved dogs on leads -with their owners! The parking is “ on road “ however there are no parking restrictions on George Street, New Road or several surrounding roads. You may have to unload then find a space on arrival day as Saturdays and summer periods can be busy, however you will be able to park outside your cottage within a short time (parking is on opposite side of road only, as road is narrow). A large council car park ( free overnight ) is only a few minutes walk away if you need it. A large car park ( free tariff overnight ) is a short distance away at the top of Station Road. Do you have cot/high chair/stairgate available for children? Yes, all of these are available in the cottages, but please specify on the booking form. An additional stairgate is provided for dogs. Is there more detailed information available about the properties? Yes, see the “Access Statement” available to download and view on each cottage details page. A “floor plan“ showing the layout is also shown for each cottage (Flint and White Cottages have almost identical layout). Yes both cottages have wi-fi, this is provided to guests free of charge, for personal use only. The service provider is BT, however we cannot guarantee broadband connection. Yes, if you are seriously considering a particular date and need to consult with friends/family we can usually provisionally reserve the dates for you for up to 48 hours subject to agreement. Once we have posted the booking forms to you we allow a minimum 7 days for you to confirm by returning the forms and deposit. Yes, short breaks (from 3 nights) are available all year – however due to demand for weekly bookings in the peak summer period we are normally unable to accept bookings more than 6 months in advance for peak seasons May to September, although it may be possible to book a short break in these months at shorter notice if we have received a cancellation and is subject to availability. We do try and be as flexible as possible to accommodate your requirements. Due to changeover costs of housekeeping and laundry we can quote 2 nights however this will be the same tariff cost as 3 nights, but if you can’t stay a 3rd night then you will be usually able to have a later departure time, or early arrival. Our normal changeover day for peak season weekly bookings for Flint Cottage is a Saturday, and Friday for White Cottage, however we will try and be flexible for particular requirements. Short breaks can start on any available day (see our calendar). What time do I have to leave on departure day? This is strictly by 10am unless agreed otherwise, as we have to have adequate time to fully clean and prepare the cottage for the next guests. Yes, 365 days, including Christmas and New Year. We usually accept bookings upto 18 months in advance ( see “deposit” above ). We provide towels (bath sheet & hand) included in the tariff. Tea towels and kitchen hand towels are also provided as part of our linen service. Yes, if guests have an allergy to particular washing powders etc please advise us at time of booking. If guests wish to provide their own bed linen we will make a small discount to the tariff to allow for laundry costs. Where can I see a map of the location? Go to the relevant cottage page and at there is a map link. Why don’t you display the tariff on your website? Our price range is displayed for the year, and we offer a range of pricing dependant on time of year and number of guests staying (usually a discount will apply if only 2 persons staying). Therefore it is helpful if you quote the proposed number in your party at the time of your enquiry so that we can be as competitive and flexible as possible. We are always happy to discuss any query with you on the phone- 07966 398245 – Max Flint. Payment may be made to us by cheque or by telephone/online banking from your bank account – whichever suits you – our bank details are provided on the booking form. To keep costs down we do not currently offer a service to pay by credit/ debit card. We strongly recommend that guests take out holiday insurance cover which includes cancellation cover. Whether we can refund you depends on the circumstances and notice period – our terms and conditions state that deposit payments taken are non-refundable. However, if we can successfully rebook the period we will refund you less a 10% administration charge. We provide you with formal written confirmation of your booking, and receipt for each payment, on our headed notepaper. Why don’t you take online bookings? Online booking systems require specific arrival / departure changeover days and we prefer to offer flexibility to accommodate our guests requirements. What if I need to arrive late? Access to all cottages is by key safe, so a late arrival time is not a problem, you may arrive at any time after 3pm. Earlier arrivals may be arranged subject to previous guests departing time. Can I gain access to the cottage early? We state the earliest arrival time ( usually 3pm unless advised otherwise ) to ensure that we have had adequate time to fully prepare your cottage after guests have departed in the morning. However if we can let you in early we will – take our number 07966 398245 with you when travelling so you can ring us and check. How do I know that my booking is safe and secure if I have not stayed with you before? We also address this point in detail on our “news” page – these days concern about “online scams” affecting holiday accommodation is quite rightly of high importance when booking your holiday. Whilst we regularly receive payments from guests direct into our bank account (we don’t take card payments – see above) this is only an option, payment by cheque is equally acceptable. AND you do not need to pay us anything until you have received our letter of confirmation and booking form in the post. The only exception to this is if the booking is of very short notice before the start date – when a bank transfer payment may be necessary as we will not have time to process cheque clearance times. Also please note that we only retain your contact details for reference to your booking and for NO other purpose, NO information is passed onto third parties. Please feel free to ring us on our BT landline for any extra reassurance required – this is our home number – 01553 812132. Click “Contact” on our home page – this will open in to an enquiry form for you to complete which will be emailed to us, alternatively please ring the owner Max Flint on 07966 398245 to discuss any query you may have. Please also see our detailed Flint Holiday Cottages Terms & Conditions (PDF) via the link on each cottage page.